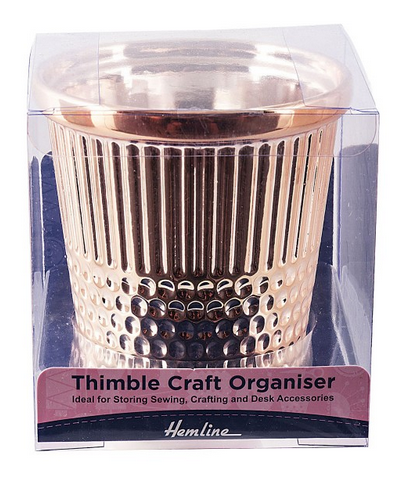 Extra-large thimble design desktop organizer. Ideal for storing sewing, crafting and desk accessories. Made with 100% ceramic in rose gold color. Presented in clear PET gift box.